A £20 million scheme to help rough sleepers off the streets and into secure homes has been announced by the Government ahead of World Homeless Day. The Private Rented Sector Access Fund will be open for bids from English councils from Wednesday as part of a drive to combat homelessness, Community Secretary James Brokenshire said. It is part of the £100 million Rough Sleeping Strategy unveiled by Theresa May in August and aims to help 9,000 people either already sleeping rough or at risk of becoming homeless. It came as a senior homelessness adviser to the Government said that he was "convinced" that the number of people sleeping rough will have dropped by next May. 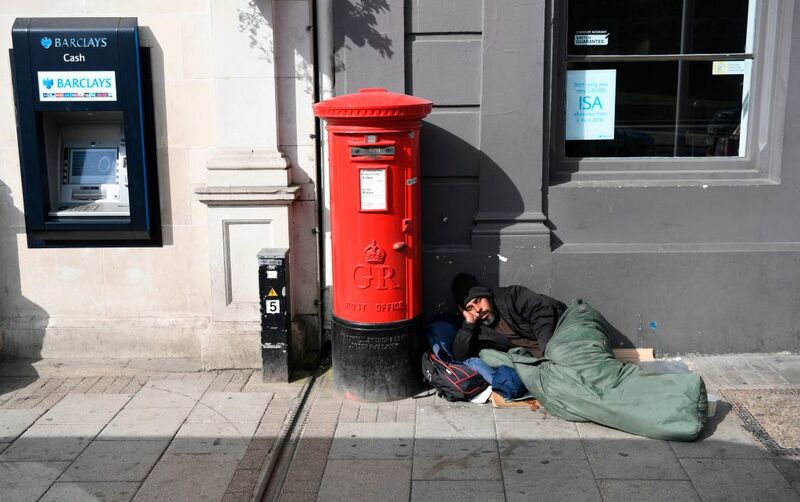 Jeremy Swain, deputy director of the Rough Sleeping Initiative at the Ministry of Housing Communities and Local Government (MHCLG) said that changes introduced were already reducing numbers in some areas. Announcing the new plan, which is part of a drive to halve rough sleeping by 2022, Mr Brokenshire said: "It is vital we give people facing homelessness a route out of it and a chance to rebuild their lives. The private rented sector has an important role in this. "This £20 million fund will allow councils to put in place vital new schemes so that those at risk will have the support to secure their own tenancy." The funding was first announced in the 2017 budget, with £5 million available for bids in the 2018-19 financial year and the remaining £15 million for 2019-20. It can be used to set up or expand existing local schemes. Intervention could range from helping people pay their rent or deposits or schemes with see councils run private properties on behalf of the landlord, the MHCLG said. The new scheme is based on the Crisis charity's Crisis Private Rented Sector Access Programme, which ran from 2010 to 2014. Backed by £11 million in Government cash, it helped 153 schemes and opened up 8,000 private sector tenancies. 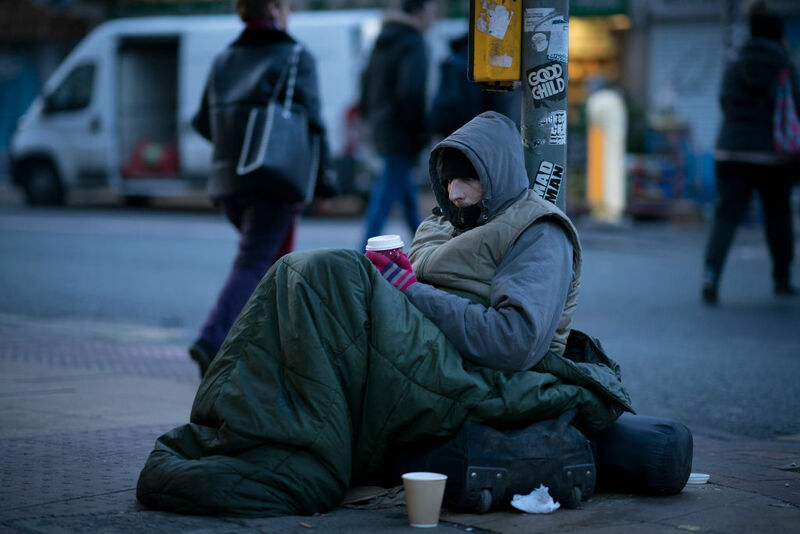 An estimated 4,751 people sleep rough on English streets on any given night. The announcement comes the day after an investigation by the Bureau of Investigative Journalism suggested that 449 people died homeless across the UK in the past 12 months. Mrs May declared her aim to help homeless people "turn their lives around" when she announced a rough sleeping strategy in August. It was welcomed by charities who said it was a significant step towards meeting the Conservative manifesto commitment to halve rough sleeping by the end of this Parliament and eliminate it by 2027. A Duty to Refer came into force at the start of the month and placed new obligations on local authorities to help those at risk. Mr Swain, who joined the housing ministry in July after almost four decades working for homelessness groups, including as the chief executive of the Thames Reach charity, said that improvements had already started to be made. He said that with winter approaching it was important to get rough sleepers off the street as quickly as possible. "Speed is of the essence, we cannot prevaricate and I think because of the level of investment going in we will see numbers coming down, particularly over the winter and into the spring because the investment we are making through the Rough Sleepers Initiative," he said. "If we did a street count in May next year I'm absolutely convinced we would see tumbling figures."